Loyalty. – Darklightness – Mom Blog. 30's Girl. Loyalty and the ability to control what you say are two of the most important characteristics in any person. Without these characteristics, it’s difficult to sustain any relationship. What happened to the days where people had loyalty towards one another, and understood the power of their words? Nowadays it seems that everyone is living with tunnel vision. Too focused on their own personal needs, they’ve forgotten the importance of the relationships in their lives. Even when faced with situations where people can benefit themselves, and jeopardize their closest relationships, they choose dissolving a relationship for a short term benefit. It makes me wonder, are relationships nowadays built out of loyalty and respect or sheer convenience? 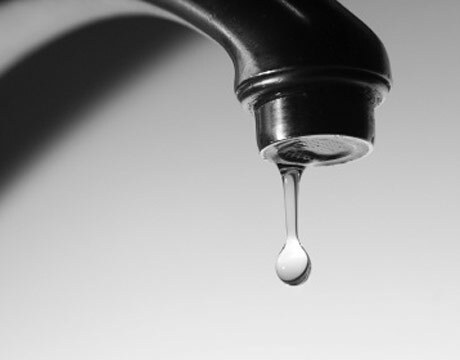 A friend of mine once told me that the relationships in our lives are like a leaky tap, with us being the faucet. We create a bubble around us that seamlessly grows. However, with time this bubble becomes so large that we are no longer able to hold on to everyone we’ve included in it. The bonds weaken and part of the bubble drops. Putting this analogy into perspective, what is the purpose of having people in your life who are possess the inability to be loyal? Who are so selfish that they do not understand the meaning of loyalty and are only fixated on how situations will benefit them. How do we decide who remains in our lives and who we let go of? Personally, I’ve met some amazing people throughout my life, and although they played a large role in the person I am today, I wouldn’t consider them close. Throughout the course of our relationship and my personal growth, my loyalties began to shift. Countless times, I have encountered the saying “Life is a journey and to not cease the opportunity to grow is a wasted life”, but how do I grow and hold on to the relationships I value. How do I stay loyal to those around me, while respecting the journey of my life? Perhaps “loyalty” isn’t as definitive as I once thought. Loyalty, although a seven letter word, encompasses a lot of give and take. It requires a level of selfishness, selflessness and acceptance. Through analyzing my own relationships, I’ve learned that the key to maintaining lifelong relationships is to allow the people in your life to be a bit selfish and give them the room to grow and accept the decisions they make in their lives. You may feel trampled by some of the decisions they make, but you need to stay loyal and be selfless in letting them be themselves. On the opposite side of the spectrum, we also have people in our lives who are clouded by a deep fog of selfishness that handicaps their ability to understand the importance of loyalty. I’ve encountered people throughout my life who constantly put their needs before mine, and I can’t help but wonder if I’ve fostered my relationship into one where I am constantly giving, and they have developed a level of comfort in in constantly receiving. In these situations, how do you exude your need for respect and loyalty and evolve your relationship in a way that you are still able to keep one?